Are you an early career researcher or analyst in a UK university or UK registered charity? Are you using UK Data Service data in your impactful research and analysis? Apply to be one of our 2019 Data Impact Fellows. 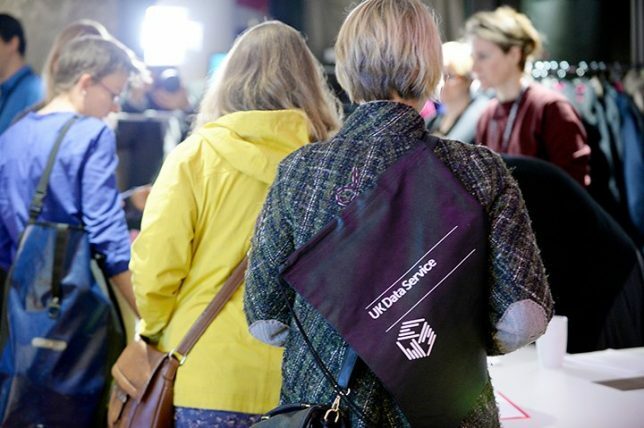 For the first time, the Data Impact Fellows scheme is open to early career researchers and analysts working in registered UK charities as well as early career researchers in UK universities. The 2019 Data Impact Fellows will join a supportive peer-network of Fellows from 2016 and 2017, who provide encouragement and share their experiences of and advice on developing data impact. Five Fellowships are offered to the value of £2,000 per Fellow to cover impactful activity, and the programme will run over two years from May 2019. Funded by the Economic and Social Research Council (ESRC), the Data Impact Fellows programme aims to provide career development opportunities for researchers and analysts at a relatively early stage in their career in the academic or charity sectors. Esmeralda Bon (@EsmeraldaVBon) is an ESRC-funded PhD student in the School of Politics and International Relations at the University of Nottingham, in collaboration with the Committee on Standards in Public Life (CSPL), an advisory non-departmental public body sponsored by the Cabinet Office. 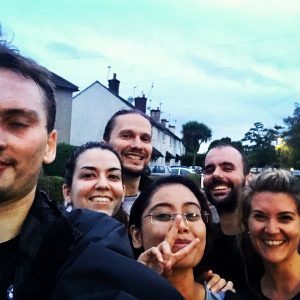 Esmeralda is affiliated with the Centre for British Politics and the Nottingham Interdisciplinary Centre for Economic and Political Research (NICEP). Esmeralda uses the British Election Study, Survey of Public Attitudes towards Conduct in Public Life, 2003-2004 and the the British Social Attitudes Survey in her research on the political communication of UK public office holders and civil society actors. Esmeralda considers how the role of Data Impact Fellows is to highlight how engaging in collaborations with each other and with institutions and stakeholders is an excellent way to change the world for the better. Oliver Exton (@oliver_exton) is an ESRC funded PhD student in Faculty of Economics at the University of Cambridge. His research investigates how firms and workers respond to rapid import growth, price changes driven by fluctuations in exchange rates, and changes to EU and extra-EU trading partners’ trade policy. He uses the Business Structure Database and the Annual Survey of Hours and Earnings in his work. Oliver has shared evidence from his research into ‘trade shocks’ with the UK Government and appeared in The Brexit White Paper: what it must address, a paper produced by organisation The UK in a Changing Europe. With colleagues, he has recently explored how uncertainty around what will happen with Brexit has affected UK imports. Dharmi Kapadia (@DharmiKapadia) has a PhD in Social Statistics and her research focuses on improving the lives of people suffering from racist discrimination and mental and physical illnesses. 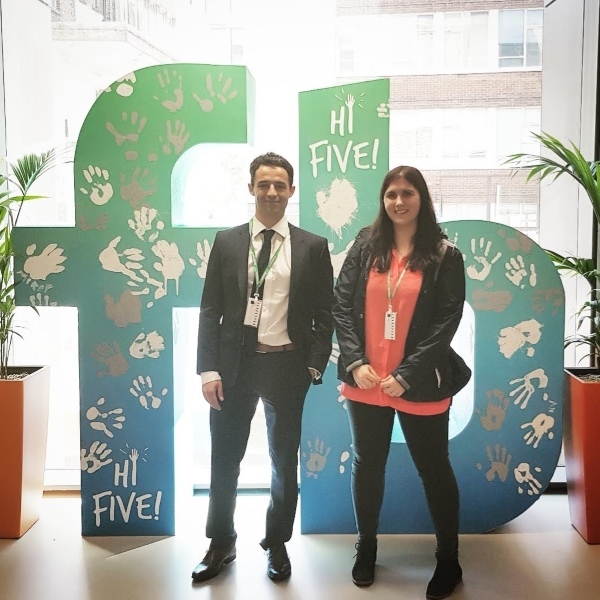 When she became a Data Impact Fellow, Dharmi was working on a project to look at how racism influences mental illness in black and minority ethnic communities using data from Understanding Society. Dharmi now lectures in Sociology at the University of Manchester and introduces numeracy and data analysis skills at an early stage to start building students’ confidence in handling data. Recently, as part of the ESRC Festival of Social Science, she worked with sixth form students to catch their interest in social science research early. Sarah Knight (@sarah_gis) is a PhD student in the Environment Department of the University of York. 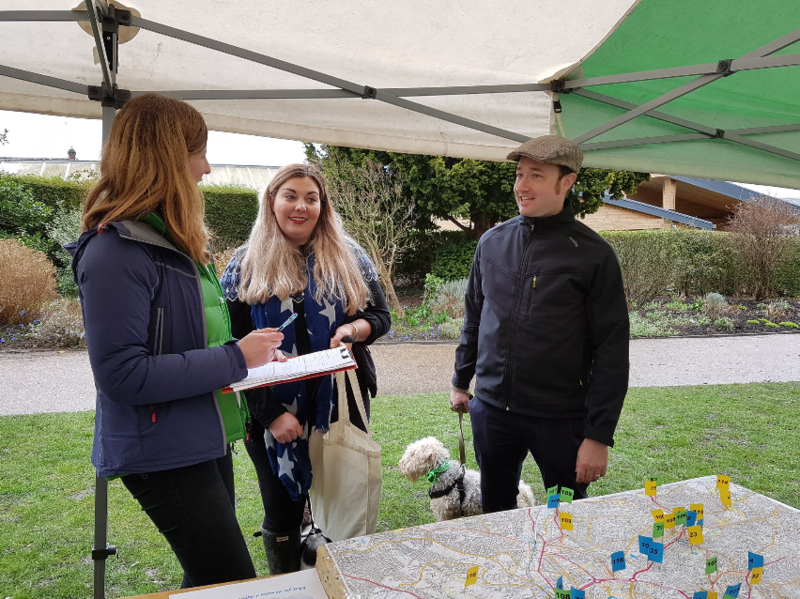 Sarah’s research uses Understanding Society and the British Household Panel Survey to explore how exposure to air pollution, specifically nitrogen dioxide, impacts subjective well-being. Sarah shares her journey through data science to impact and on to being awarded the ESRC’s Understanding Society Young Researcher prize in 2017. Rachel Oldroyd (@r_oldroyd) combines research into food safety and health geography with teaching GIS and quantitative geography at the University of Leeds. She develops innovative linked data, combining the UK census, online restaurant reviews, socio-economic data and food establishment hygiene scores to identify populations at risk. Rachel has developed her approach to what effects her research have on the world; from her perspective as an early career researcher. Rachel (along with colleague Luke Burns) recently produced a guide on how to map census data with ArcGIS Online on our Impact and Innovation Lab. 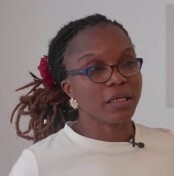 Anthonia Ijeoma Onyeahialam (@MappingReveals) was a Postdoctoral Research Associate (GIS and Geovisualisation) on the GLOBAL-RURAL Project Department of Geography and Earth Sciences, Aberystwyth University when she became a Data Impact Fellow. She has interdisciplinary interests in globalisation and rural communities. Anthonia’s work with story maps is a compelling way of presenting her research. Anthonia works with the UK Data service international data, Census data made available by the UK Data Service such as integrated census microdata and aggregate data; and international and national data catalogues combined with fieldwork data. Anthonia is now working on another project as an Earth Observation and GIS Scientist on the Geographical Data & Earth Observation for Monitoring (GEOM) project, a partnership between Aberystwyth University and QinetiQ, funded under the Research and Innovation priority within the European Regional Development Fund (ERDF) programme. Matteo Sandi (@McmSandi) is a Research Economist at the Centre for Economic Performance (CEP) at the London School of Economics and Political Science (LSE). He researches the impact of policing on crime, the determinants of youth crime, and the effect of discipline in school on the desire and possibility to engage in youth crime. His research includes a focus on whether UK academies use exclusions to play the system and exploring how prices, policing and policy have all had an effect on metal crime. Matteo uses data from the National Pupil Database. Aishah Selamat (@dataimpactspace) became a Fellow in the second year of her PhD with the Faculty of Science and Technology at Bournemouth University. Her PhD research is co-funded by Bournemouth University and County Coaches (UK) LLP (a company of Travelmanagement4u.com). Aishah’s research aims to develop an Intelligent Transportation Analytical Model for Small and Medium Enterprises (SMEs). She integrates data from the National Travel Survey with the firm’s local data. Her role in the company as Data Scientist (Research) involves initiating and influencing the practice of establishing a data driven decision-making culture, particularly in the area of Digital Marketing, building on 10 previous years of working across Singapore, Malaysia and Indonesia. Last summer Aishah took the opportunity to further develop her data science skills at a data science boot camp. William Shankley became a Fellow while doing his PhD. His research uses census microdata and census flow data and focuses on internal migration patterns of Polish people in England and Wales and the factors that shape their migration decision-making. William’s research combines 2011 UK Census data for England and Wales with interview data collected from forty Polish people living across Greater Manchester. Last year, he finished his PhD, which he described as ‘crossing the line‘. Bram Vanhoutte (@bvhoute) is a Simon Research Fellow in Sociology at the Cathie Marsh Institute for Social Research (CMI), The University of Manchester. 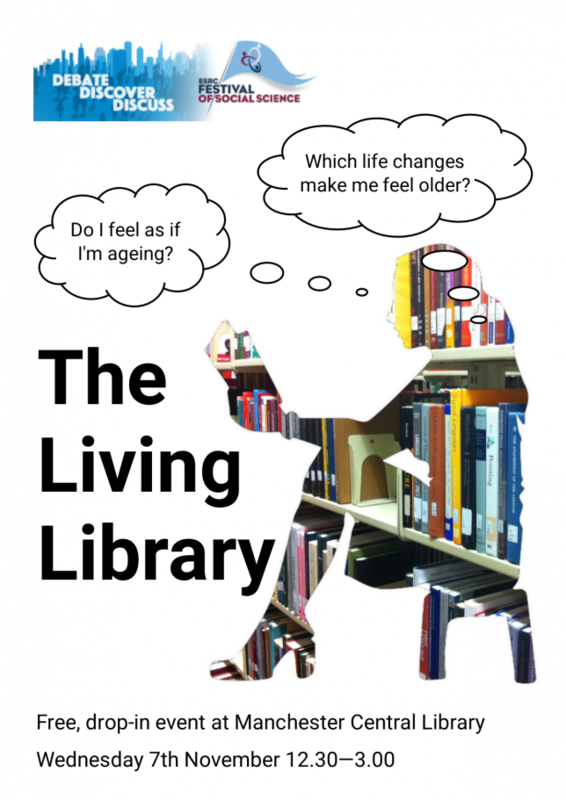 His research uses the English Longitudinal Study of Ageing as well as the US Health and Retirement Study and the Australian Life Histories and Health Study, and focuses on wellbeing in later life as a marker for successful ageing. Bram has an interest in ageing from an interdisciplinary perspective by bridging psychological, sociological and medical perspectives. As part of developing his ideas as an Early Career Researcher, Bram has looked at the implications of the focus on impact development for researchers. Claudia Zucca (@cla_zu) became a Data Impact Fellow while working on the VOTEADVICE project, in collaboration with the University of Exeter, Kieskompas Amsterdam and Koç University Istanbul. Her research used data from the British Social Attitudes Survey, the European Social Survey, the British Election Study and the European Values Study, and focuses on the impact of new technologies on political behaviour using advanced quantitative methods. Claudia’s research included investigating Voter Advice Applications, which have become more common in helping voters decide how to vote. Claudia discusses her findings and the conference she organised as part of harvesting the impact of the VOTEADVICE network. Claudia now works at the University of Glasgow on the development and maintenance of the R package texreg and at the MRC/CSO Social and Public Health Sciences Unit on a project about studying Public Health with complex systems science. We support the Data Impact Fellows to promote their work through blogging, becoming a data citation champion, developing impact case studies and enhancing their profile through a range of social media initiatives. Read all their blog posts, find out more and apply here. We look forward to hearing from you. Follow the Fellows at: #DataImpactFellows.